Ruins of an ancient village in the Gofna mountain region in Samaria. Nearby is a memorial park with pools and springs. In Horvat Aner (khirbet 'Annir), situated on a hill in the Gofna mountain region in Samaria, are ruins of a Roman era village. A Muslim shrine of Neby 'Annir is located at the base of the hill. 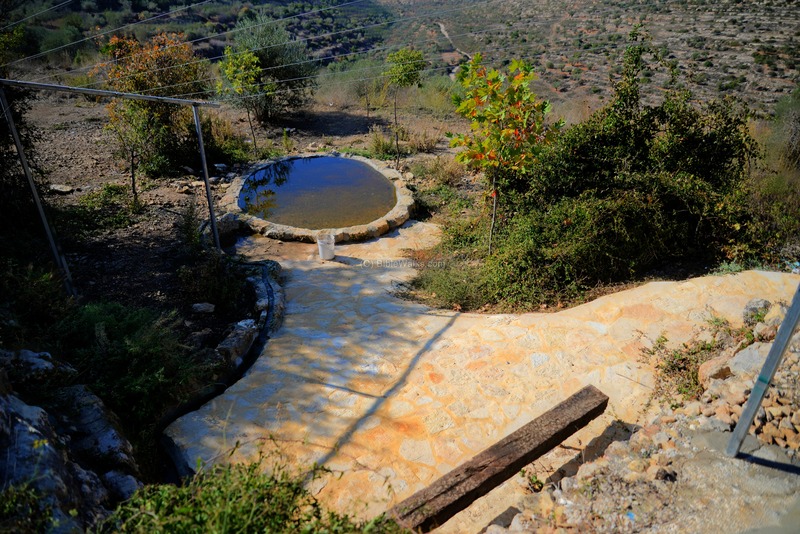 Near the archaeological site is a memorial park with pools and springs commemorating the 3 youths who were kidnapped and then murdered in 2014. 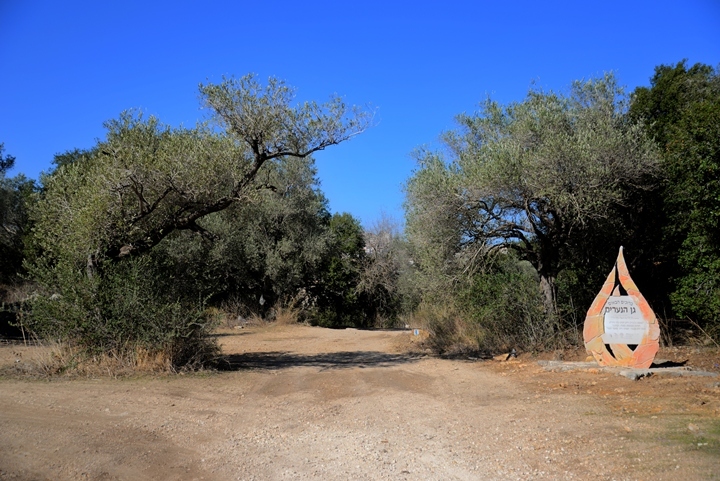 The site is accessed from the access road to Neria, a road that branches off highway #463 near the Post junction. The area is within the Gofna Mountain region, which is bounded by the Shiloh stream in the north, Hwy #446 on the west, Hwy #60 on the east, and Modi'im stream on the south. You can point on the yellow squares to navigate to the selected place within this page or other pages. 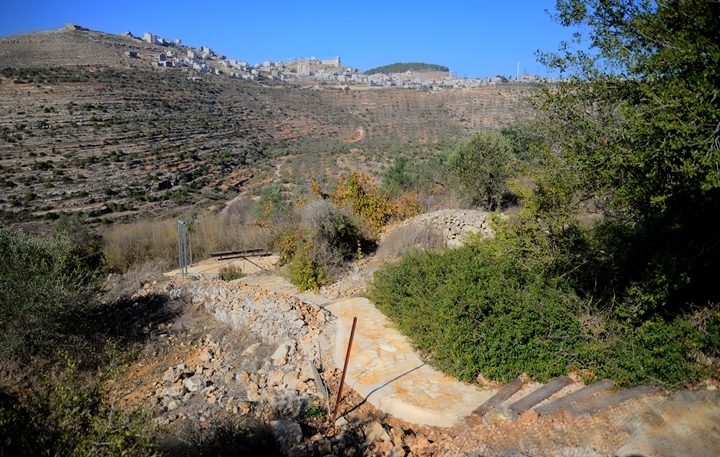 The site was continuously settled from the Israelite conquest until the Ottoman period. "And out of the half tribe of Manasseh; Aner with her suburbs, and Bileam with her suburbs, for the family of the remnant of the sons of Kohath". "...brother of Aner: and these were confederate with Abram...the portion of the men which went with me, Aner, Eshcol, and Mamre". A Biblical map is shown here, focusing on the area north of Jerusalem. The site is marked with a red square in the center. 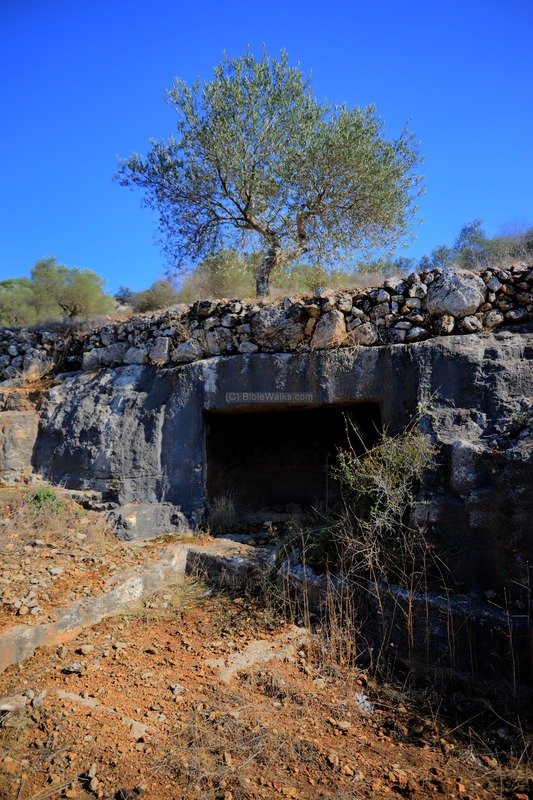 Although not shown on the map, the site is situated on the side of an ancient road from city of Samaria (Sebastia) to Lod (Lydda). The main period of settlement in this site was during the Roman and Byzantine period. According to the ritual baths (Miqva'ot) and the tombs found in and around the site, this was a Jewish village during the Early Roman period (second temple period) and also after the great revolt. 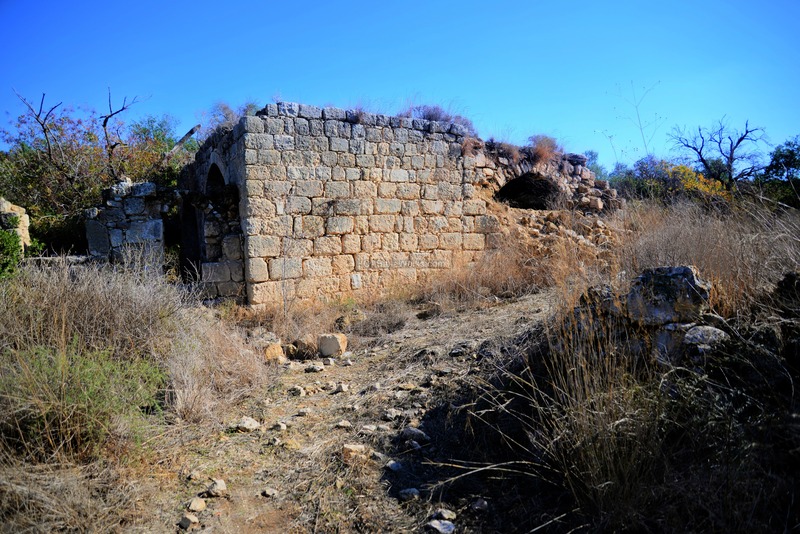 After the Bar Kokhba revolt (132-135 AD) most of the Jewish villages in the area were deserted, and probably this was also the tragic fate of this village. 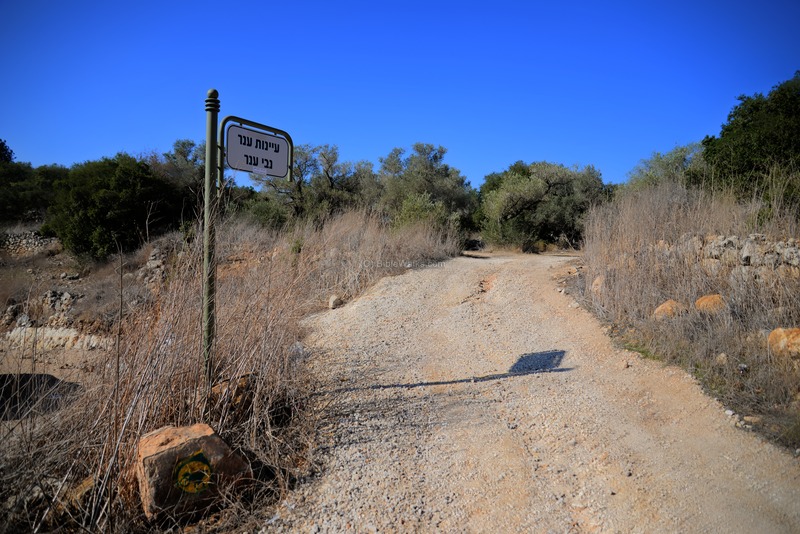 The Jewish settlers were either replaced by Roman veterans, or the village was totally deserted, as was the case in other villages in Samaria. As the site was not excavated, the history of the site will remain vague. 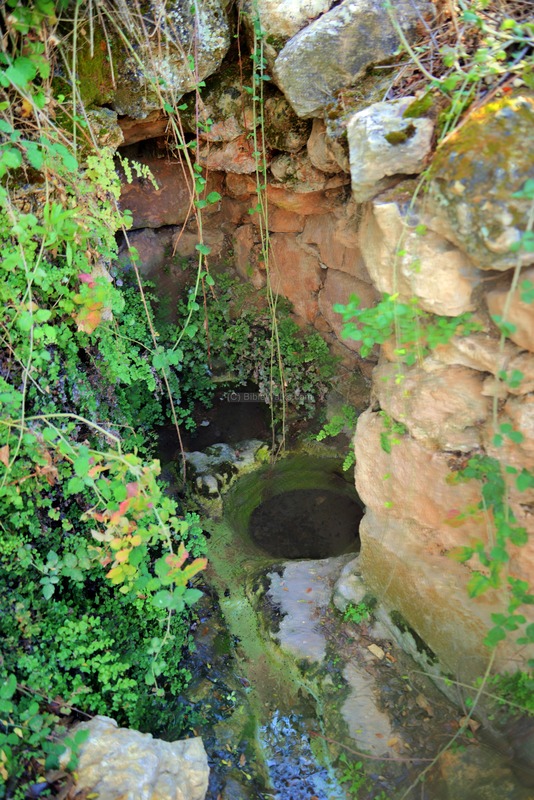 In Horvat Aner (khirbet 'Annir), and the area around it, are many wine presses and olive oil installations that are dated to Roman and Byzantine periods. The residents of the village were mostly farmers, and the primary farming industries were wine and olive oil production, in addition to animal farming. 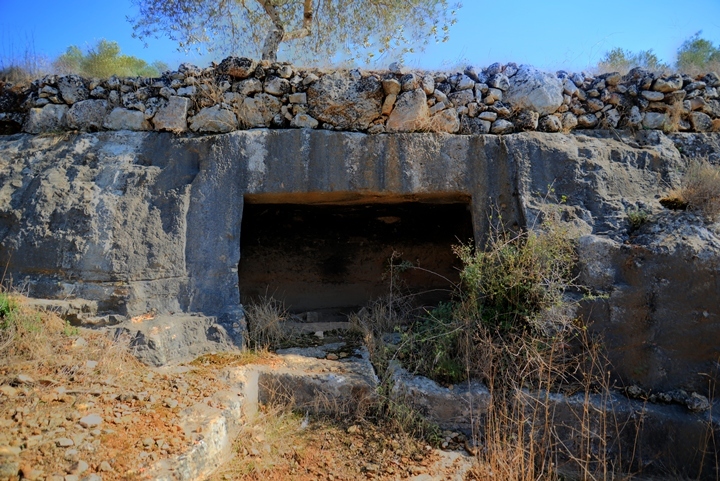 The area of Gofna mountain region in Samaria, where the site is located, was known for its wine industry. The hills and valleys were planted back then with vineyards, and the area has many wine pressing installations. The name Gofna is based on the Hebrew word Gefen (grapevine). After the Arab conquest in the 7th century, and especially during the Mameluke period in the Middle ages, the wine industry was replaced by the olive oil industry, as alcohol (wine) is forbidden to Muslims. The farmers then replaced the vineyards with olive trees. Therefore, the landscape today in Samaria is mainly planted olive trees along the hillsides. Conder and Kitchener surveyed this area during the Survey of Western Palestine (SWP) in 1873. 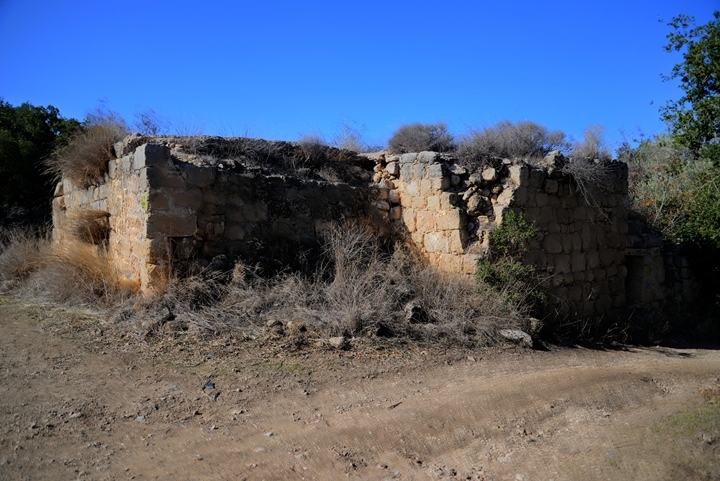 "Khirbet 'Annir- Traces of ruins.". 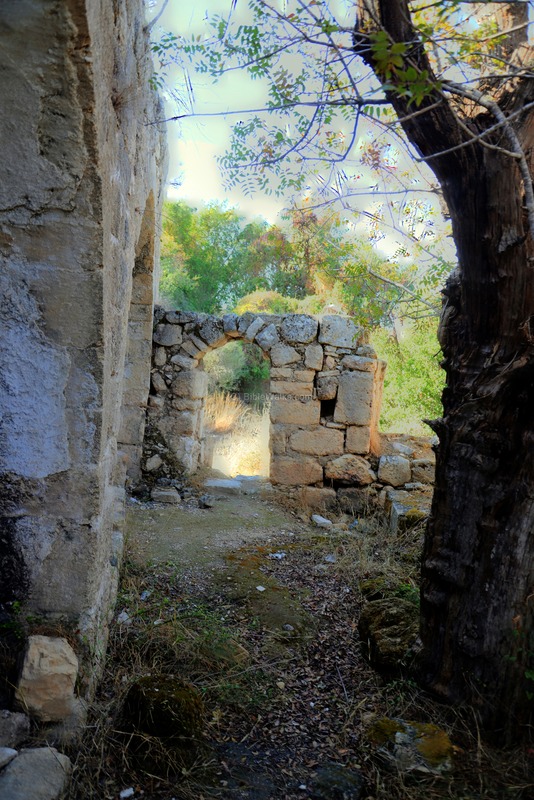 "Ruined walls of Buildings, rock-cut tombs, olive press, rock-cut chamber with arched doorway, columns shafts, Maqam of Nabi 'Annir.". The site is located on the fringes of the area of a cluster of Jewish communities - Talmon, Dolev, Nahliel, Neria and some new outposts. They are part of the "Mateh Benjamin" regional council. An aerial view from the south east side focuses on the main standing structure of the Muslim shrine (Maqam) called Neby 'Annir. It is located on the saddle between the two ridges, and surrounded by a forest of ancient oak trees. They were preserved thanks to the holiness of the Muslim shrine. 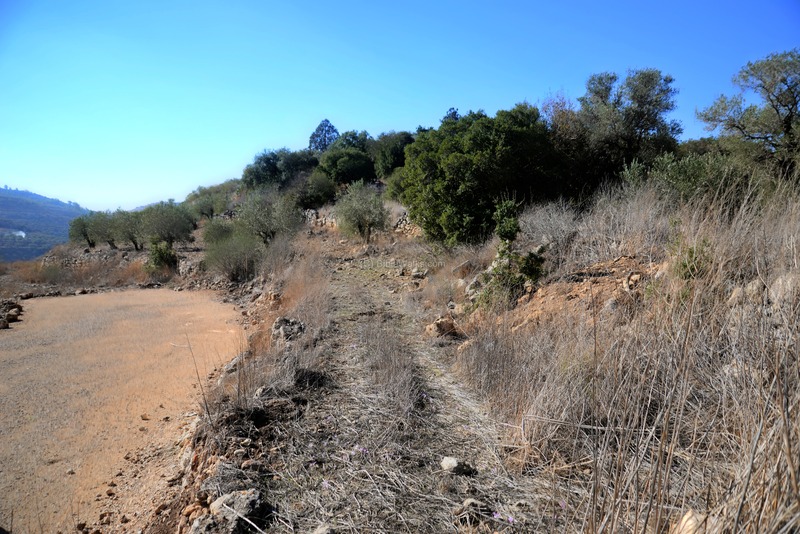 On the higher hill are orchids of olive trees. 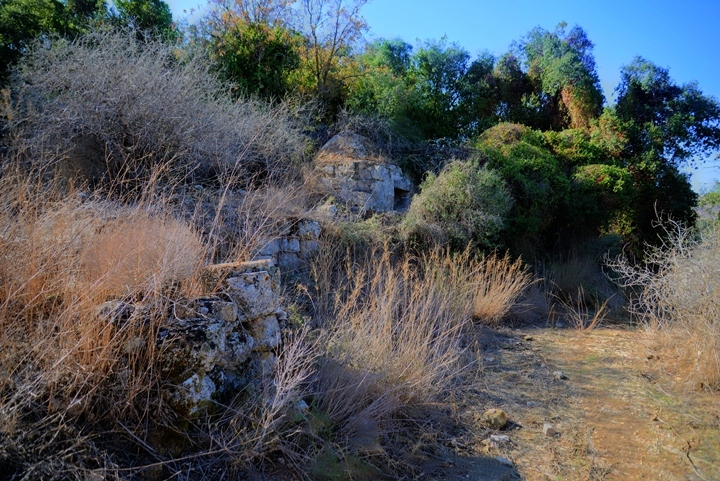 The terraces cover the ruins of the ruined Roman and Byzantine village. A higher view of the elongated hill is shown in the next aerial view, pointing towards the west. The road to Neria and Talmon is seen along the southern foothills. The summit of the hill is at an altitude of 465m, while the deep valley on the left (south) is at an altitude of 400m. This is very steep - a drop of 60m within 170m (35% slope). 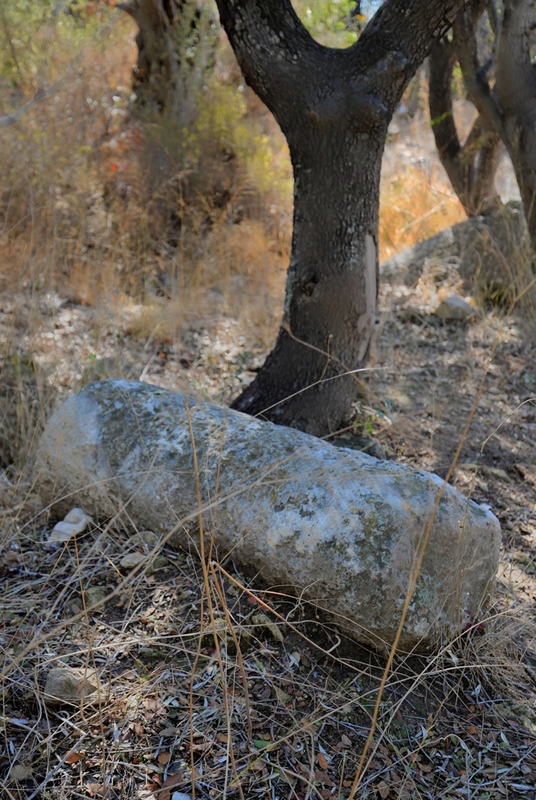 The entrance to the springs of Aner and Neby 'Annir, as displayed on the post, is located near the parking lot on the south side of the site. A large parking lot is located close to the road to Neria, near the entrance sign. From here is an easy walk up to Neby 'Annir and down to the springs. 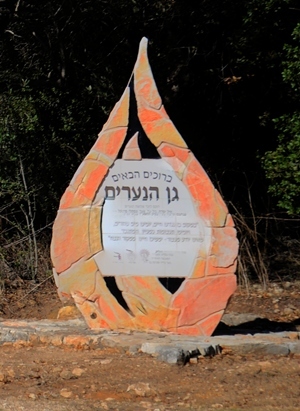 A decorative sign in the shape of a tear, on the side of the entrance road, welcomes to the "garden of the youths" in Hebrew. The "garden of the youths" commemorates the three youths that were kidnapped in June 12, 2014. This tragic event occurred on a Gush Ezion bus stop while they were hitchhiking to their homes. They were murdered and shot in the car. A massive search operation took place for searching their bodies, and it took 18 days to find them where they were dumped into a hole in a field north west of Hebron. The whole nation was waiting to hear their fate while the IDF, police and volunteers spent enormous efforts on this search. The two murderers, members of the Hamas terrorist group, were killed in a shootout with the IDF after 3 months. Gil'ad Shaer (19 years old), one of the three teenagers, was from the nearby community of Talmon. The other two youths, Eyal Yifrach (from El'ad) and Naftali Fraenkel (from Nof Ayalon) were 16 years old. 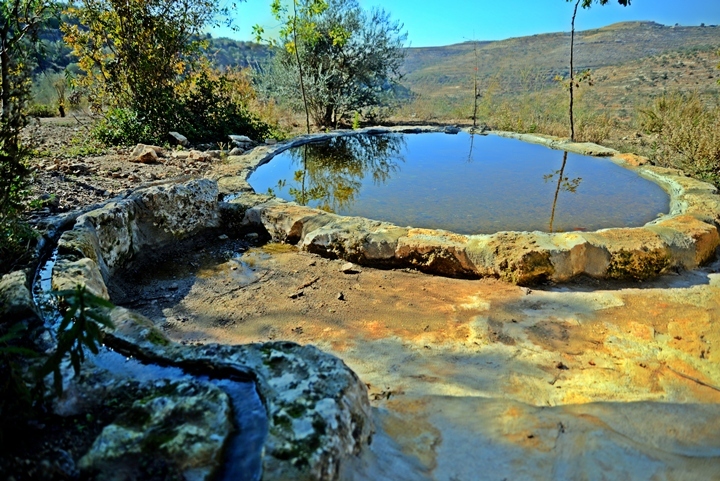 To their memory the youths of Neria (in the cluster communities of Gush Talmon) rebuilt the pools of 'Annir into a memorial park, maintain the place, and conduct culture events. The park was supported by the Falik family, the Benjamin regional council, the Neria youths and Mechina of Beni-David. 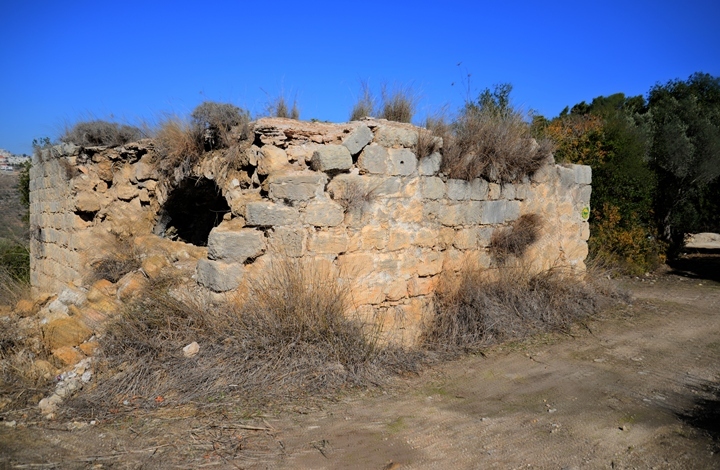 Near the entrance is an ancient structure dated to the Ottoman period (or earlier). This is a Muslim shrine (Maqam) called Neby 'Annir, meaning in Arabic: prophet 'Annir. While the above photo is from the south west side, the next photo is from the south east side. Another view from the north west side is next. The entrance to the structure is from both sides of the northern wall. 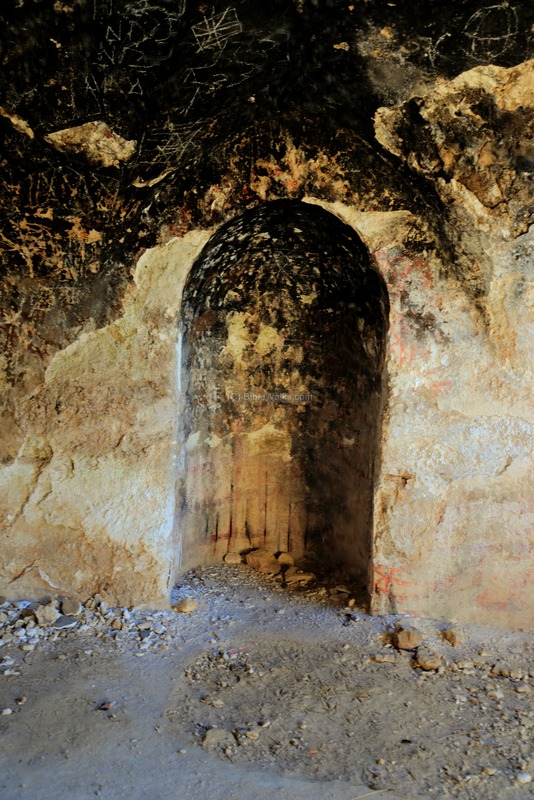 In the photo below is the western entrance, as seen inside the structure. The entrance opens to an open court yard. Inside the structure is an arched portico on the north side. An entrance on the west side of the wall leads into the shrine. 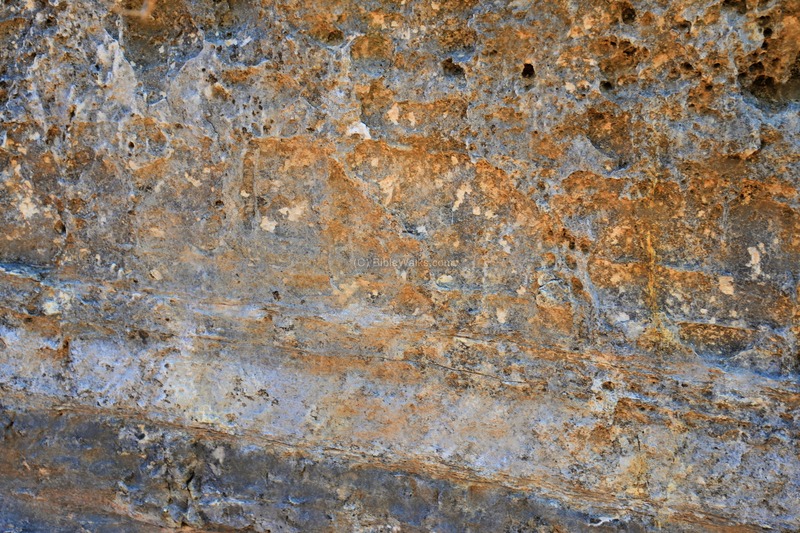 The next photo shows the inner side of the structure. On the south wall is a semicircular niche - the Mihrab - in the direction of Mecca. This is the direction that the Muslims face when praying. The Mihrab's wall was damaged by fire and graffiti. It used to be decorated with paintings of red palm trees, like the Mihrab in Beit El's sheikh Abdallah. Few of the red painted decorations are noticeable. The branches of palm trees are often used as decorations in Muslim holy sites, as the palm tree symbols life. Another structure is located to the west of the Maqam. 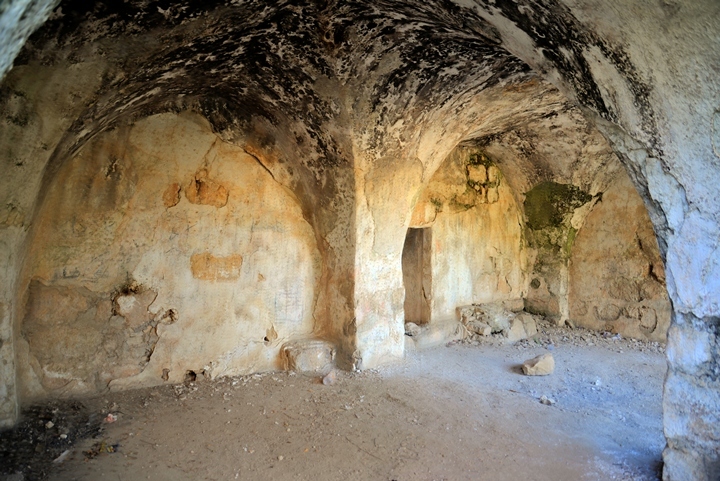 At its end is a cave dated to Roman-Byzantine period, with an oil production installation. 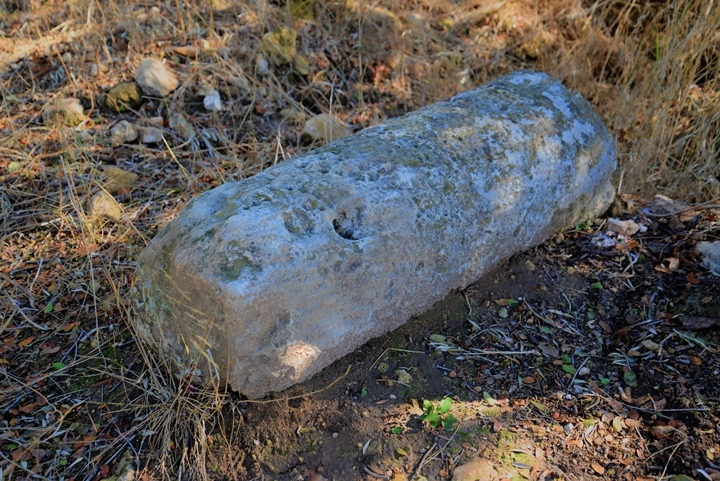 A fragment of a column is located near the entrance road. 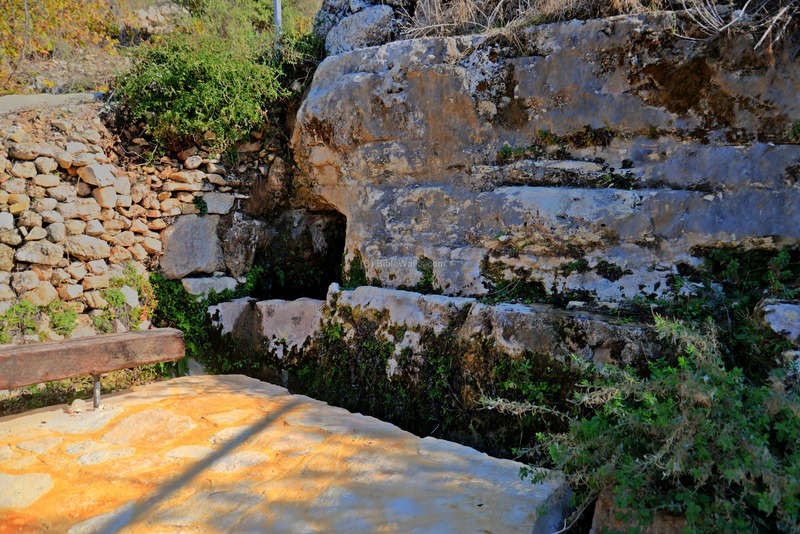 Along the path to the springs is an entrance to a rock hewn tomb. On the right side of the tomb are faint remains of inscribed letters. 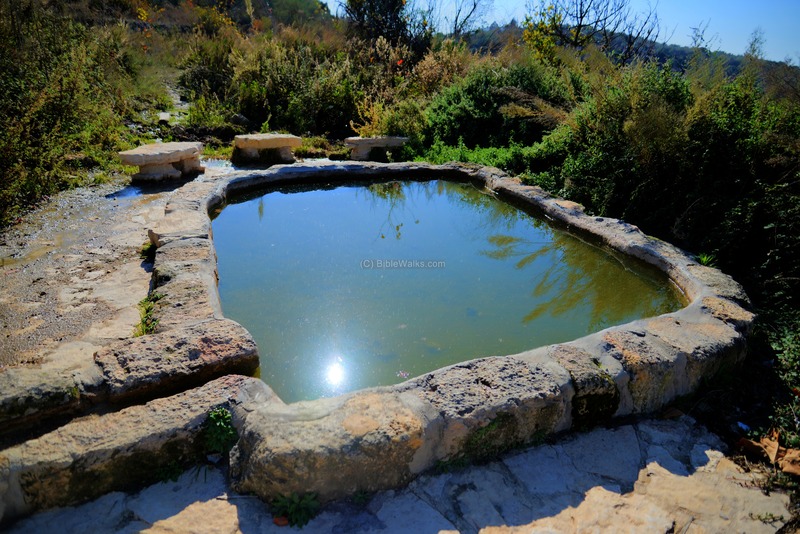 The springs of Annir were used in the past to water the herds and crops of the Arab villagers. 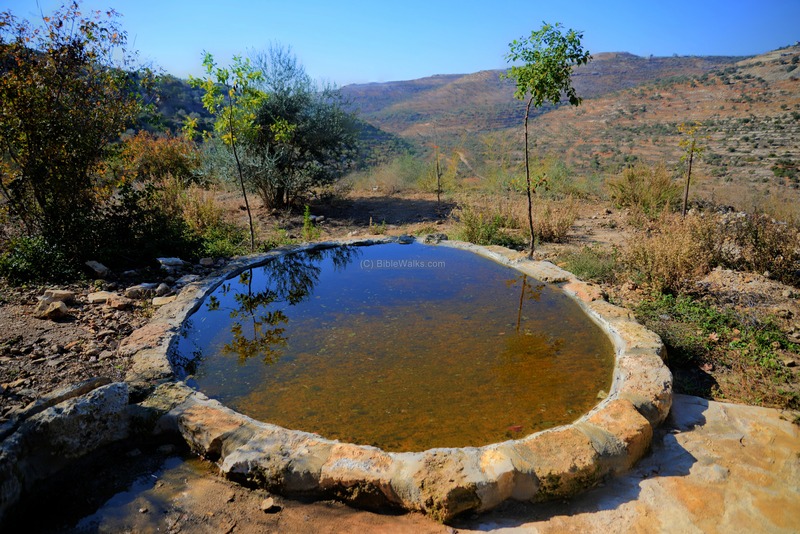 The settlers of Neria transformed the springs into a small water park, by collecting the spring waters to 3 modern pools. A trail leads down to the Annir pools and springs. 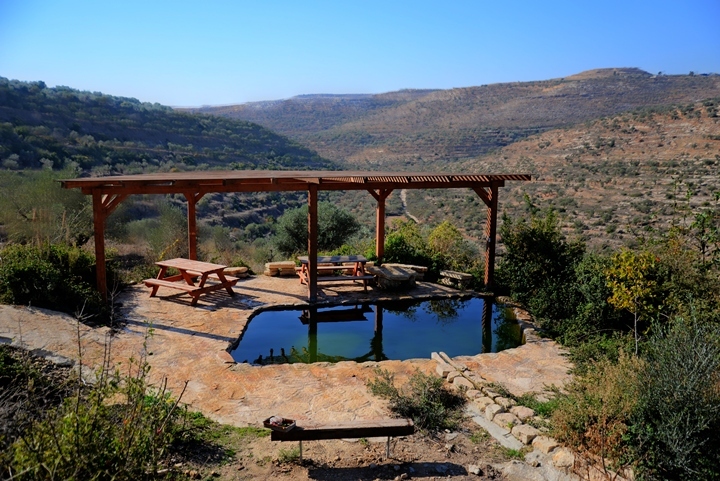 The first pool is about 2 minutes walk from khirbet Annir, seen here in the background. 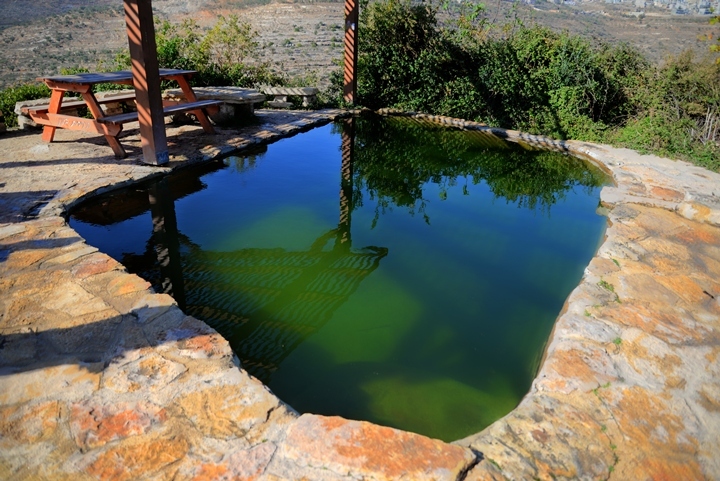 The pool has an oval shape and is shallow. 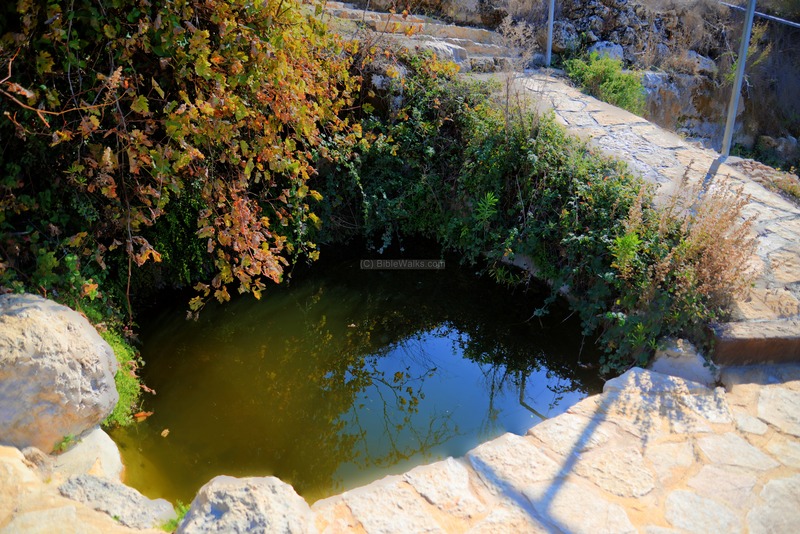 It was named the grapevine pool, as it was once covered by a roof of vine leaves. 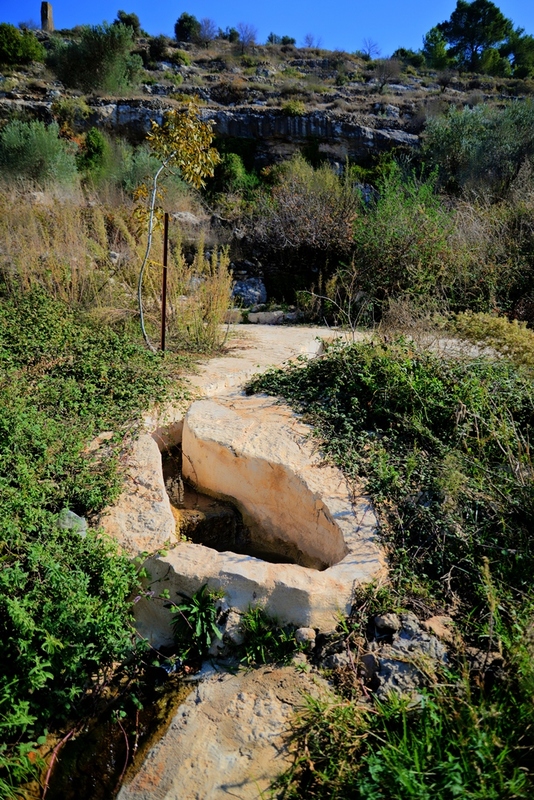 The waters are fed from the spring by a decorative channel. 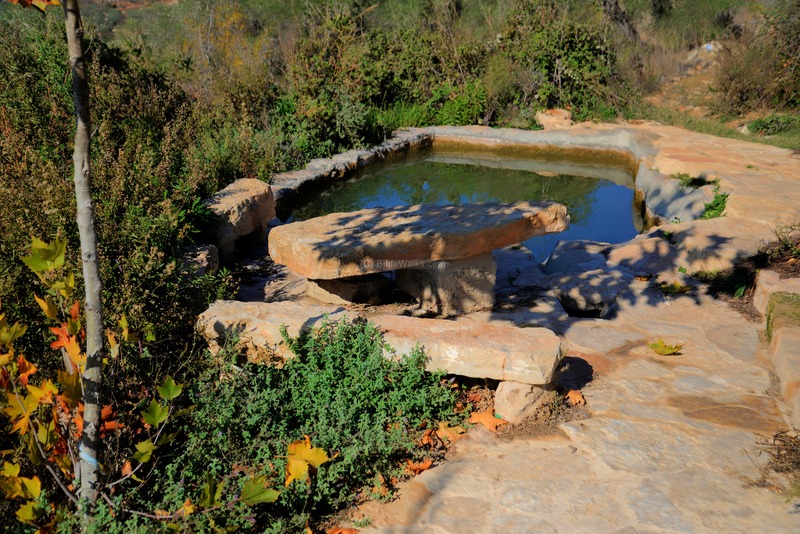 A pool on the side collects the spring water and feeds the channel. The spring flows out of the cave. The second pool, farther up the trail, has a rectangular shape, and has a pergola roof and picnic tables. Farther north is another small shallow pool. The pool is fed by a built channel from the nearby twin springs. The springs are located on the edge of the cliff. A view of one of the springs is below. A fern grows on the walls around the spring. Around Horvat Aner are interesting sites. The valley below the site is called Wady Natuf. A famous prehistoric cave (Shuqba cave) is located 7km to the north west, which gave its prototype name - Natufian culture (12,500-9,500 BC). These ancestors lived in a permanent place before the introduction of agriculture. They preceded the Neolithic settlements, who farmed and raised animals. 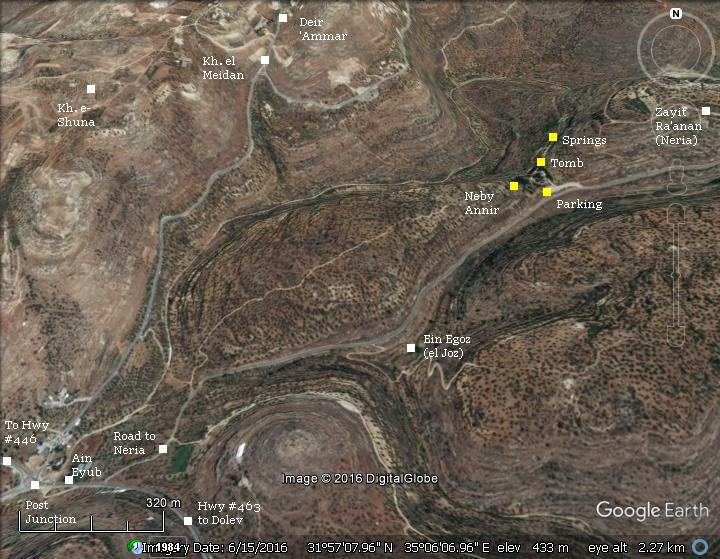 Another interesting site is located 2km to the north. 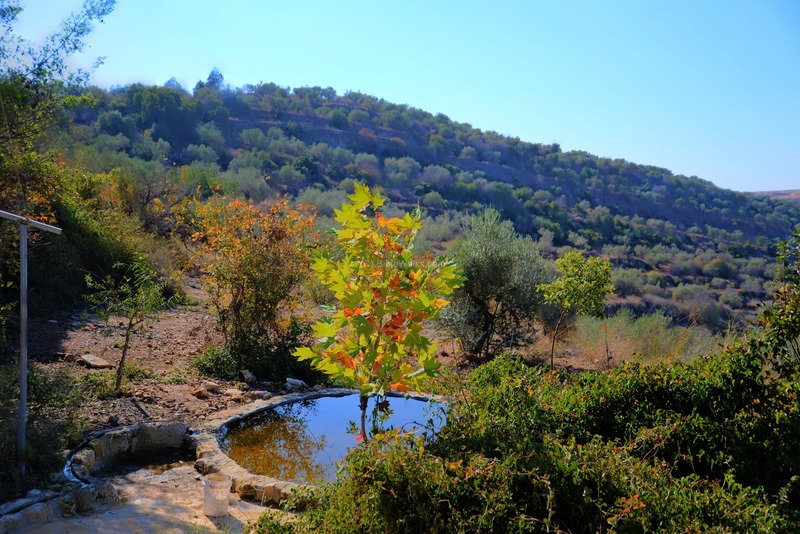 On the top of the barren hill, now surrounded by houses of Deir 'Ammar, is a small forest. A Muslim shrine (Maqam) is located on its top - a small structure with a turquoise dome. 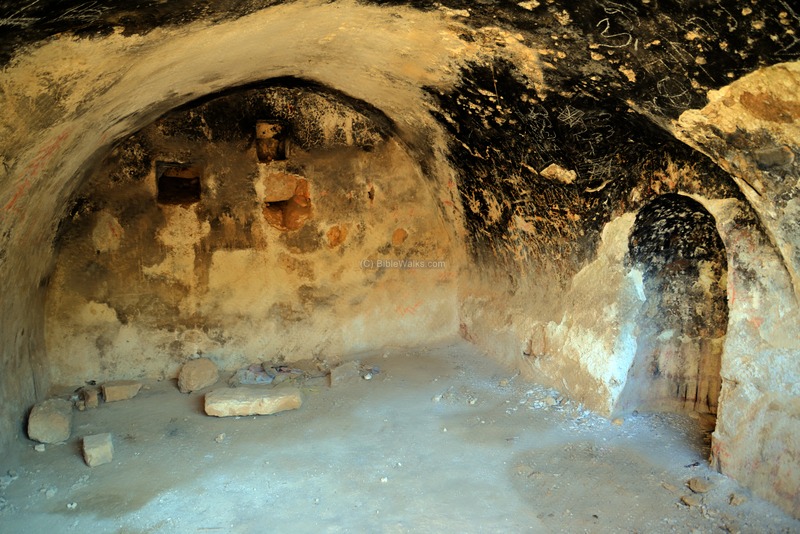 The shrine is called Neby Ghaith. Around the shrine are traces of structures, perhaps dated to the Byzantine period. The western view also shows a low hill rising above the mountain ridge, at a distance of 1.5km. A closer view focuses on the site known today as Khirbet e-Shuna. Here are remains of an ancient settlement from the early Israelite period, through the first and second temple periods. 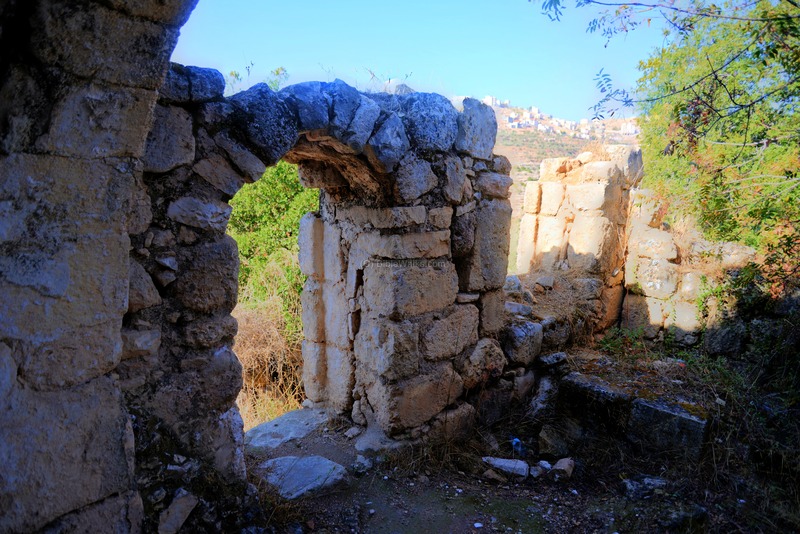 Some identify this ancient city as Ramah (also: Ramathaimzophim) - the home town and burial place of prophet Samuel (1 Samuel 1:1, 19): "Now there was a certain man of Ramathaimzophim , of mount Ephraim...their house to Ramah.. " and his burial place (1 Samuel 28:3): "and buried him in Ramah, even in his own city". It is also identified as the place of seat of prophetess Deborah (Judges 4:4-5): "And Deborah, a prophetess, the wife of Lapidoth, she judged Israel at that time. And she dwelt under the palm tree of Deborah between Ramah and Bethel in mount Ephraim". Neby Annir - Arabic: prophet Annir. The identity of Annir is not known. Aner: In the Bible there are 2 references to the name "Aner", which may have been the source of the Arabic name. Neria - also known as Talmon-B or Talmon-North, a community near the site. Established in 1991, named after Rabbi Moshe-Zvi Neria. Talmon - a community near the site, founded in 1989, named after a Biblical gatekeeper family (Nehemiah 11:19): "Moreover the porters, Akkub, Talmon, and their brethren that kept the gates". Zait Ra'anan - a community of Neria, established 1999. Hebrew: "fresh olive". Named after Rabbi Shlomo Raanan. BibleWalks.com - bringing the Bible Alive!